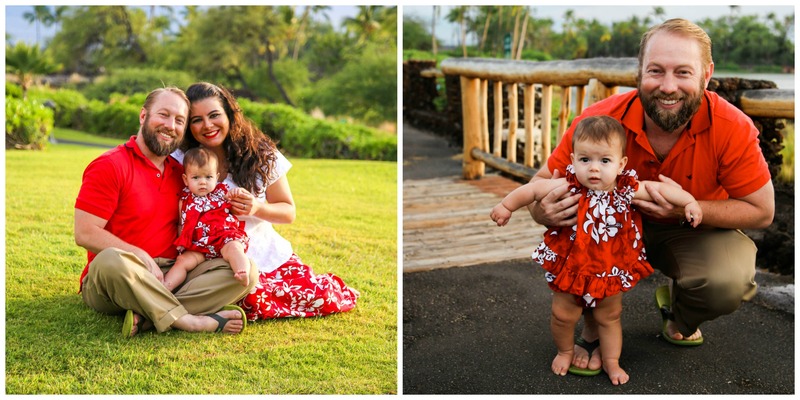 Taking an infant to a photo shoot definitely has its challenges. There are the logistics of nap-time and snack-time to consider, as well as drool control and saving that special song for when the crying looks like it might start getting out of control, but there are a couple facts permanently on your side. One, babies are cute pretty much no matter what they do, and besides, it’s YOUR newborn. Every single second is precious, tears included. Two, wear matching outfits and bring props for your little one. 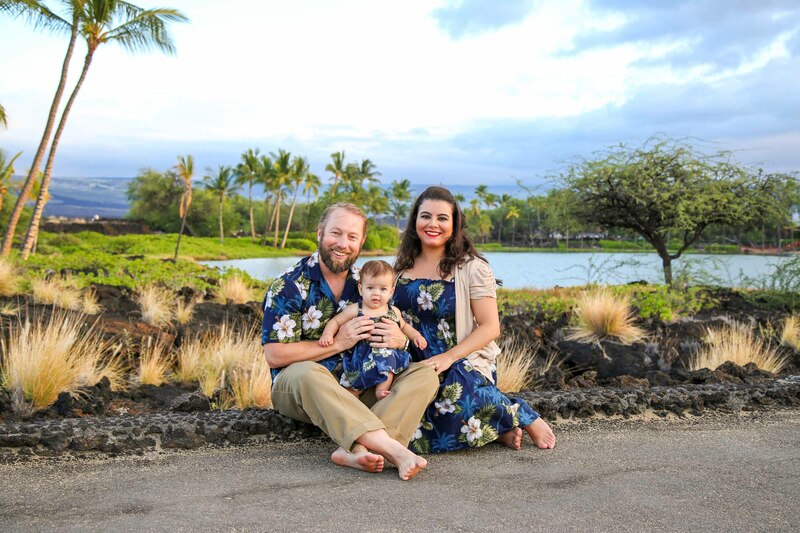 The matching outfits bring cohesiveness to the image, and symbolize family unity despite any potential crying. And props are the key to get awesome photos no matter what mood baby is in. 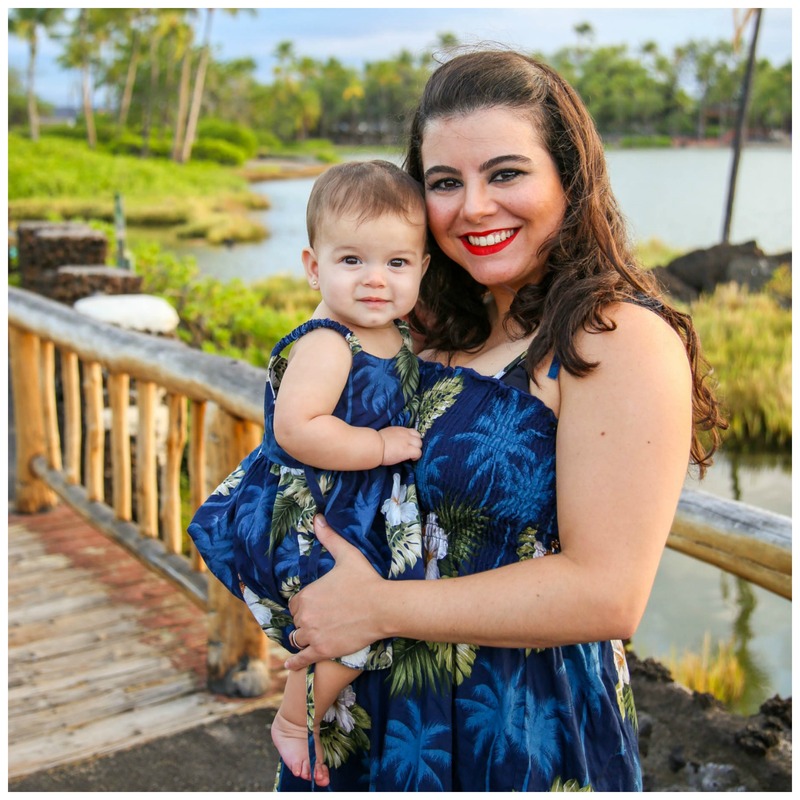 The Trindade family proved this during a spectacular sunset session with their baby girl when they came prepared with two outfit changes, a couple of props for their daughter, and a picture perfect storyline to act out. Despite some intermittent crying, their family portraits are incredible because how adorable is “finding” a merbaby? We began with red outfits. The beginning of our photo adventure started with lots of grassy lawns, jungle, and palm trees as background, so all three of them really stand out. I had them change to blue before getting to the beach because it was nearing sunset and everything turns yellow and golden, softens up, and becomes magical. Blue stands out more than a warmer color such as red. An additional advantage of doing an outfit change is that it gives a toddler something to focus on besides people calling their name, clapping, and asking them to smile. Then, after this comforting routine, they can start fresh. Look at that smile in her new blue dress! And don’t forget adorable baby bums! 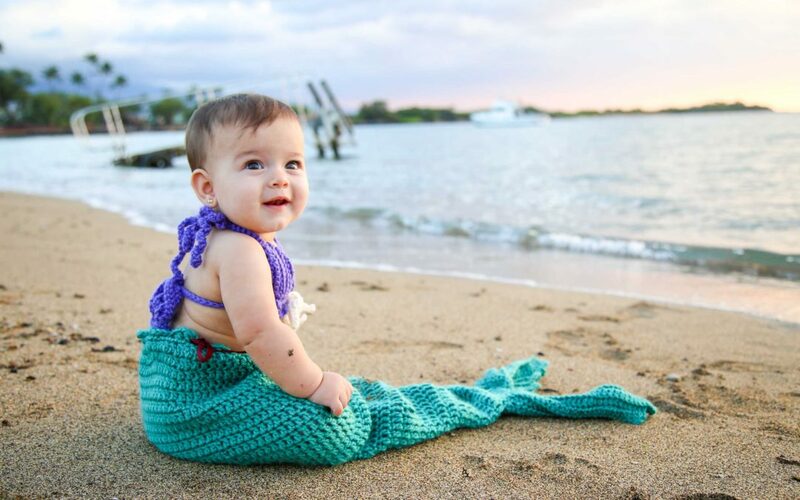 If all else fails and the crying, sleeping, or drooling becomes too much, or you forgot your awesome mermaid outfit, you can still get magical photos by going all natural.